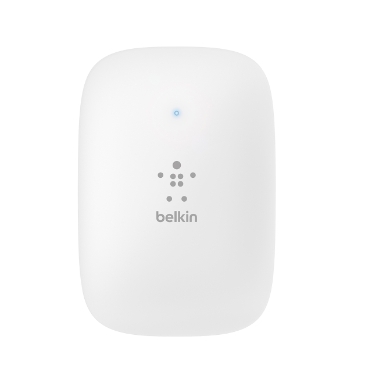 Belkin's N600 Dual-Band Wi-Fi Range Extender features dual wireless bands of 2.4 GHz and 5 GHz and can deliver data transfer speeds of up to 600 Mbps*, resulting in a strong, reliable Wi-Fi signal throughout your home. Crossband technology sends data continuously and automatically switches to the less congested band for greater Wi-Fi speeds, reducing lag time or buffering when you're streaming HD movies to a laptop or connecting to the Internet from the garden. The N600 comes equipped with 2 external antennas to extend the range of your wireless router, boost your Wi-Fi signal, and eliminate dead spots for improved coverage. As a result, you can connect desktop computers, laptops, smartphones, tablets and other Wi-Fi-enabled devices within your home to the Internet with ease. 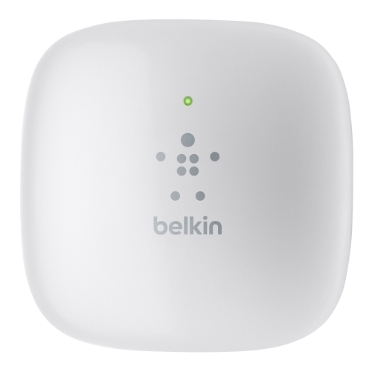 Thanks to Belkin's Simple Start feature, you can plug the wireless ranger extender into a standard wall outlet and set it up from any smartphone, tablet computer or laptop, allowing you to boost your home Wi-Fi signal within minutes. 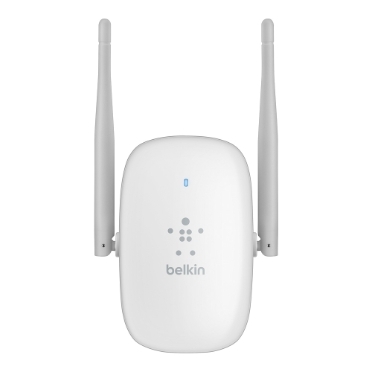 This wireless network extender can be used with any 802.11b/g/n wireless Internet router, allowing you to easily extend the range of your home Wi-Fi network and keep all your mobile devices connected without having to purchase more equipment. 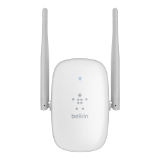 Like other Belkin wireless networking products, the N600 features Wi-Fi Protected Set-up, along with 256-bit WPA2 encryption and 64/128-bit WEP encryption to protect your data keep your home Wi-Fi network secure.